Have you also payed a whole lot of money for an extra large monitor and have you asked yourself why you only get a narrow timeline at so many so-called social media websites? 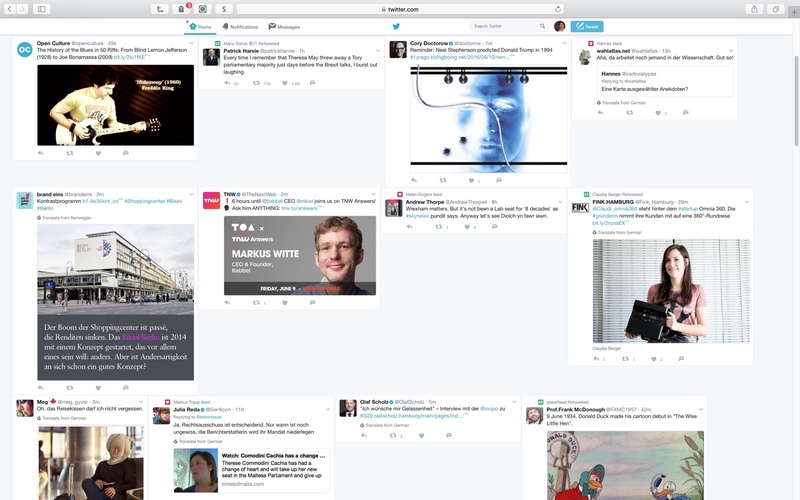 Here comes a CSS hack to change the layout of twitter to a flexible card design. All this is work in progress and a working proof of concept; and I like to get your feedback on the idea. how to apply the design hack? Use Stylish for Chrome or Stylish for Firefox and copy the code. Create a local younameit.css file and copy the the css code into the new file.